PixelStrings​ by ​Cinnafilm​ provides groundbreakingly simple delivery for OTT and more, with scalable video conversions in the cloud. 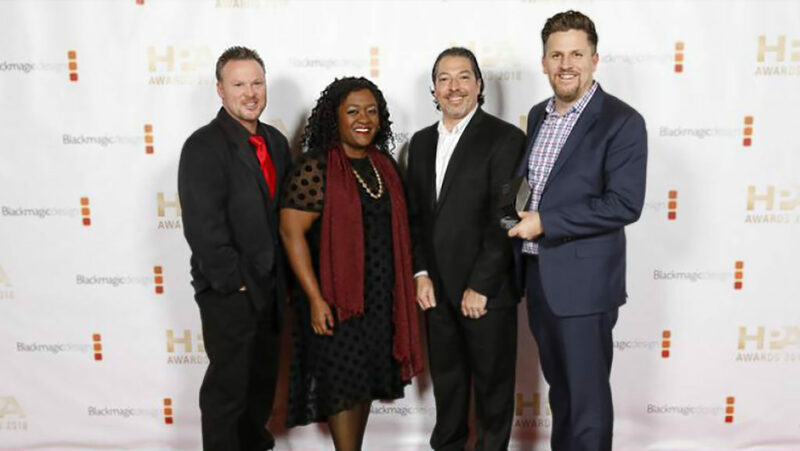 ALBUQUERQUE, November 15, 2018/ — ​Albuquerque company ​Cinnafilm thanks their team of engineers for making it possible to win a third engineering award from the Hollywood Professional Association. With years of expertise gained building out complex solutions for cinema, broadcast, and now OTT, “we’ve been quietly developing PixelStrings as our superset of ideas and experiences,” says Cinnafilm CEO Lance Maurer. “Winning the HPA Engineering Excellence Award is such an amazing honor for us. Not only is PixelStrings being quickly adopted by filmmakers and major production studios, but we’re also being recognized alongside industry leaders such as Blackmagic Design, Canon, IBM Aspera/Telestream, and Samsung,” says Maurer. Cinnafilm, software is used every day by over 600 facilities around the world, ensuring the highest image quality and playback for distribution of everything from restored classic titles to major new releases and documentaries, and is trusted for global events such as the World Cup and the Olympics. ​PixelStrings now enables independent filmmakers, archivists, and production outfits of any size to achieve the same brilliant post production results that power major networks and Hollywood studios. With PixelStrings, anyone can access enterprise-grade image and video optimization using time-honored Cinnafilm tools in the cloud. On PixelStrings, Tachyon, Dark Energy, Wormhole, and RaidiantGrid address issues facing video delivery like frame rate conversion, runtime constraints, artifacts, noise, telecine issues, and scaling, for stunning results from any browser. Cutting-edge updates on PixelStrings can improve any workflow, at scale, with cost saving, pay-as-you-go conversions in the cloud. “With New Mexico’s growing creative economy, and and the evolution of online streaming services, and independent film running alongside major Hollywood blockbusters, we’re excited to see how creators will leverage the platform over the next year,” said Maurer. The HPA Awards promote creative artistry in the field of post production, and recognize the achievement of talent, innovation, and engineering excellence in the professional media content industry. ​Winners were determined through a highly competitive judging session held at IMAX on June 16, 2018, and were awarded at the 13th annual HPA Awards gala, at the Skirball Cultural Center in Los Angeles on November 15, 2018. Located in the Insurance Building in Downtown Albuquerque, Cinnafilm is ​a global leader in innovative video and image optimization solutions for television, film, and multimedia delivery since 2009; when Maurer, Chris Gorman, and Ernie Sanchez, all proud New Mexico natives, founded the business. Cinnafilm’s patented, 100% file-based software solutions are revolutionizing the field of high-quality image processing.